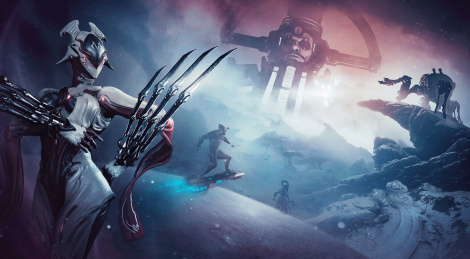 Un an après l'extension Plains of Eidolon, Warframe va s'offrir sa deuxième grosse mise à jour avec Fortuna qui apprtere une nouvelle zone et d'autres lots de nouveautés à découvrir à l'intérieur. LONDON, ON – November 5, 2018 – Tenno! It's time to rally your friends, form a squad, equip your Warframe and jump into the exotic, bustling, lore-driven Landscape of Fortuna, Digital Extremes' next big Warframe® expansion, due on PC Steam this week. Following last year's open-world debut with Plains of Eidolon, Fortuna is a sweeping open-world landscape on the visionary terraformed planet of Venus, giving both new players and veterans a chance to quickly access entirely new gameplay content, all for free. Explore the huge new terrain on foot, hop on the radical Bondi K-Drive Hoverboard, or soar through the air via Archwing and lose yourself exploring, hunting, mining, fishing, and facing off against the nefarious Nef Anyo and the money-driven Corpus. • Get Wicked on the K-Drive -- Blast across the wide open Venusian landscape on the Bondi K-Drive. Warframe's new means of locomotion instantly turns transportation into extreme recreation. Get in touch with the Solaris United's youth movement -- the Ventkids -- to earn Standing to upgrade and customize your board to the next level (including K-Drive Mods!). Experiment with grabs, spins, rails and more. Learn how to use your board in combat: players can dismount mid-air, pull out weapons, blast Corpus thugs, and remount in air for extra points! Just like in Plains of Eidolon, players can access their Archwing to get a bird's eye view and fly across the Orb Vallis! • The New Faction, Solaris United -- The cyborg Faction Solaris United live in the Blade-Runner-esque debt-internment colony, Fortuna. Similar to the gathering bazaars of Cetus in Plains of Eidolon, Fortuna is an underground hub city that serves as a factory to clean coolant rivers and doubles as a trading hub for the region. Underneath the facade of harmony and unified labor, however, discontent runs deep. Dig into the faction's stories, learn about the plight of The Business, Eudico, Rude Zuud, the Ventkids, and others, and help them fight their oppressors. • Fortuna and The Orb Vallis -- The Fortuna expansion takes place underground and above ground, comprising the underground Colony of Fortuna and the surface landscape of The Orb Vallis. Fortuna is a hub city similar to Cetus in Plains of Eidolon, where players can socialize and pick up bounties and missions from the local Solaris denizens. The surface world of The Orb Vallis is an exotic terrain blanketed with Orokin structures, towering mushroom forests, oceanic flora, and endangered native creatures. • New Combat and Enemy Alert System -- The Corpus occupiers, led by the profit-obsessed Nef Anyo, bring new technology, weapons, systems, and warriors to bear. The game's four quadrants, bases of enemy operations, are patrolled by giant robo-spiders, while mid- and small-size robot spiders appear across the giant terrain. Players will be prompted to liberate Corpus bases for rewards and can even enter their underground bases. They're not small! Alongside new Corpus ground troop variants and new kinds of bounties, a new Danger Rating system challenges players to escape or double down. • Animal Conservation -- Strange, wonderful animals of the Vallis are going extinct due to Corpus cruelty. In between fights, take it down a notch: explore the landscape of Fortuna and use your new skills and tools to lure, track, and capture them for relocation. Hunting starts with tracking animal droppings and following footprints to the right location. Echo-lures mimic the distinct sound of each animal (each animal responds to a different lure sound) and a series of calls and responses then brings the animals into sight. Using stealth and skill to tranq and trap them will help them find a safe, happy home! • New Warframe -- The bloody, powerful Garuda Warframe offers a deadly combination of health-based abilities to wreak havoc on any enemy in her path. Deployment of her skills will leave you vulnerable with low health, but greatly enhanced damage potential. Skillful Tenno will chain together tactics to keep her energy high while skewering enemies, boosting shields, and leaving a trailer of dismembered foes in her wake. • Mining, Fishing, Exploration -- Resources are plentiful in the Vallis if you know how to get them. As players explore the vast new landscape in search of resources (caves, bases, and more), they'll use new mechanics to extract a variety of different ore to upgrade their gear. Fishing makes its mighty return but with a twist. The fish in the Vallis are robotic, so you'll need to use different spears and tips to catch them. Just don't break them! Fortuna will arrive on PlayStation®4 and Xbox One soon. Would you like to join the Warframe community? Head to our forums to start a conversation. 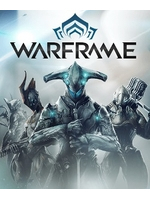 Check our official website at www.warframe.com. To keep up with the latest updates from the development team, be sure to follow Warframe on Twitch, YouTube, Twitter, Facebook, and Instagram. Inscript. | Mot de passe oublié ? WB annonce son streaming E3 WB Games Live!